OK OK I know what you are thinking… WHY ??? Well, because of the made to measure feature. I’m happy to report that It works EXTREMELY well (more on that below). After making the skirt (with super minimal alterations), I thought I should focus on a basic shapes to build a library of blocks with well-fitting patterns (by now you should know that I am a Fashion Incubator avid reader). So now in only 2 weeks (and no muslins), I have a basic pencil skirt pattern that finally accommodates the difference between hips and waist and a sheath dress pattern with short waist, wide hips, and narrow shoulders adjustments ! If you look at the lines, you can see that dress is nothing more than a basic sheath that I mat end up using endlessly!Even if it’s a very basic shape, I believe that a short version in a nice print could be a cute cute dress. By chance (actually it has more to do with addiction to the silk section of Mood NY than with chance…), I am the happy owner an adorable Anna Sui print! Let’s sew cake with frosting fabrics! The whole thing feels kind of 90’s but hey, I grew up in the 90’s. If I was following a similar process to Sunni‘s “Focus on Fit“, I think this is where I would start (or maybe with this dress eliminating the terribly cheap looking belt and the very classy front zipper…). And I would even go crazy and use 2 units and have the seam allowances included because I’m lazy and because blocks have seam allowances. the AMAZINGLY AMAZING tutorial by steppenpuppy. Once you read them this is my 2 additional cents: you need to do step 1 BEFORE step 2 on the registration page. I know I know… it sounds completely stupid not to. Sometimes you (ok, I… maybe it’s only me) think that you can spare the extra step when really YOU CAN’T! Wait to receive the confimation of your PIN number (yes you need to wait… and it may take a few hours…). Then you can go as described by Fehr Trade and Steppenpuppy and use step 2 (second option) to register the credits you bought (done on softkey with a paypal account so you don’t give your banking info to any russian website…). The made to measure feature. What I can report after 2 patterns is that it works extremely well and ease is minimal !! For less than 2 dollars per pattern it is totally amazing. So when you find a pattern that you like, you can click directly on this button (next to the order button) and there you will enter the “string” that you received with your scary 3D body. Choose your printing options (for me it’s pdf and letter), enter the email address you have been using for registration in step 1 and click “proceed with the order”. Now tricky part (not really but I hesitated so…) choose the 3rd option : Payment from the user”s account (pin code 4 digits). Enter your PIN (the one from step 1) and you are done ! Your order may take has much as an hour to arrive in your mailbox so don’t worry! Finally you need to be pretty comfortable about sewing on your own, the Google translate of the instruction from Russian is… confusing to say the least! 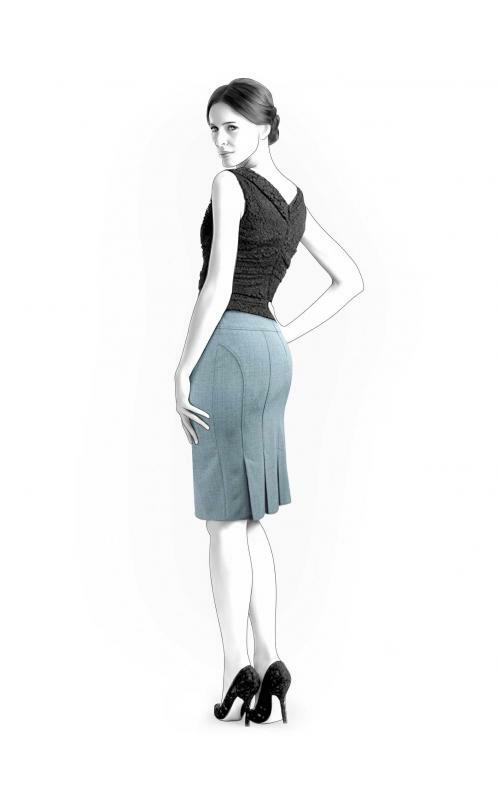 I will try to give more details about fit, use of seam allowances and other things in my review of the skirt. I also want to report that I contacted the customer service: leko@lekala.info (twice… because of my refusal to submit and accomplish step 1 before step 2…). There is a big language barrier but they are very responsive, less than a day, and willing to help. Have you tried lekala? What do you think about them? Ramblings on 1 year of blogging. Asking for your opinion! I made a Lekala pattern and blogged about it earlier this year and it was a great experience. I was quite amazed by the fit. Thanks for reminding me about them and that skirt is really cute! I have purchased a princess seam jacket from Lekala. But although everybody was saying nice things about them, the jacket pattern included relatively big seam allowances. I will definitely give it another go for a dress or a skirt. To contact them I used another email address: info@lekala.co. Although I can speak Russian, I emailed them in English and it looks like the person behind this email lives in the US and her English was very good. Hi Inna! Yes the seam allowances are a little big sometimes. I like that their standard seems to be 3/8″ but they don’t reduce to 1/4″ for collars, facings, etc… so this is still something I have to do. I’ve been focusing on simple designs so it has not been a problem so far. Okay, you sold me on these patterns. But why buy the Russian version when you can buy the American? price? selection? fit? 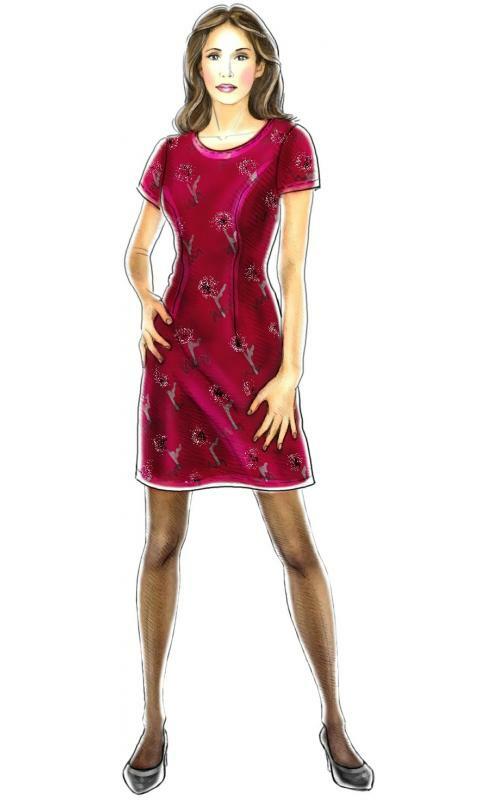 In the Russian version you can do the full fit alterations (narrow or wide shoulders, bust height, etc.) when in the American one you only input 4 measurements… I hope you will get good results with them! My 3 most recent projects (1 still in progress), and I absolutely love them! Like you, I though I would use them to make basic perfect fitting blocks, but so many of their styles are really on trend, I’ve found myself browsing other pattern companies for inspiration and then looking for a Lekala that would be easy to modify- because they’re so cheap, and the fit adjustments are already done. I totally approve of the approach of finding lekala patterns and modifying them. I have started to work on a 3rd pattern (I’m going crazy), shirt 4269, and I’m modifying some things (adding a back yoke, making a pattern for the under collar, etc….)! I loved the last dress on your blog!! I have made a couple of the “free download” Lekala patterns before and they turned out pretty great. For some reason I’d been nervous about actually purchasing any from their website, but it seems like several of the bloggers I follow have had excellent luck with them so maybe I just need to get over it already! Especially since I’m dying to see what my (non-pregnant) scary 3d body looks like, LOL!! Just a little bit longer before I can do just that…. You made me wonder about how the system would react to pregnant woman measurements… Would it send something even scarier ?? BTW, you don’t need to buy anything to receive scary 3D, that’s why it’s worth trying a few times to get the fit right (i’m at my 3rd trial of hips measurement to try to get the ease right)! Thank you for this blog and the information I was just getting ready to order from Lekala and now I think I’ll wait and explore the russian site. How large are the seam allowances when they add them and are they consistent? I’m old school and like to trim as I go, but I’d just as soon add my own if they are more than3/4″ inch or not all the same. Thank you so much for the help. Hi Spookie, the SA are not all the same (but they are all printed so it’s not too confusing) and most seams are 3/8″ (which I like), I just reduce them to 1/4″ for the edges, facings, etc. before cutting but that’s my own preference! Thanks for commenting on my blog which led me to find yours! I am really enjoying Lekala patterns. And now the US site does allow you specify further adjustments over and above the four measurements – I input narrow shoulders, high waist, increased arm width. I think that they are tweaking it all the time to make it easier to use. But I’d be interested in seeing myself in 3D! Or would I? I’ve made #4273, the Sports Vest. It’s basically a color-blocked tank top with princess seaming. The pattern definitely incorporated negative ease for this knit garment and made for a “snug” fit, something I’m not use to. However, it worked well as far as overall fit. FYI: I saw Lekala patterns are available on Craftsy if you’re afraid of giving out your payment information at http://www.lekala.co. Very interesting feedback. thank you for explaining the process.